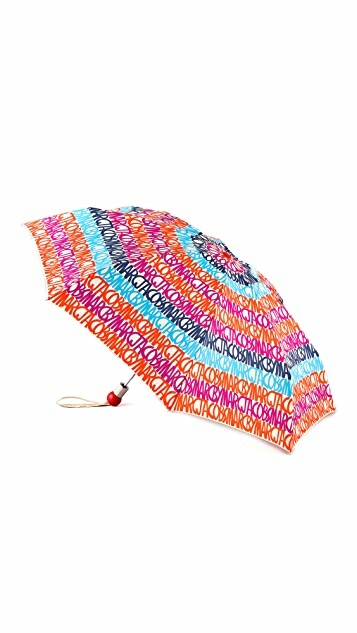 This Marc by Marc Jacobs Umbrella features a logo lettering pattern. Wrist strap and embossed logo lettering at ball handle. 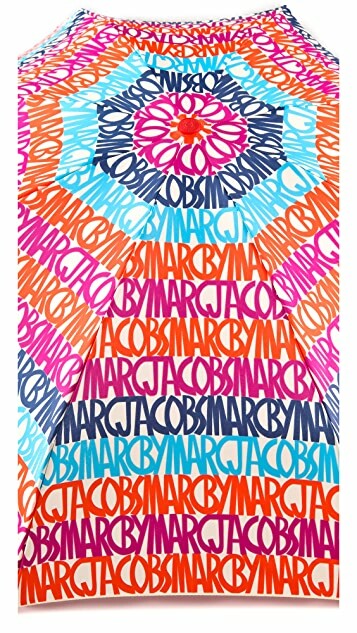 Marching sleeve included.